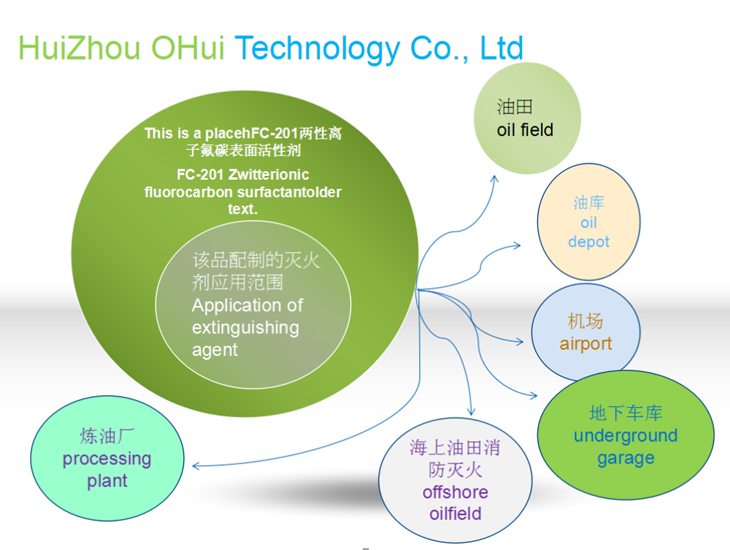 HuiZhou OHui Technology Co., Ltd specializes in technology innovation, scientific research and production of chemicals. With the rapid development of modern chemistry and increasing requirements for chemical engineering and chemical products,our company focus in a way of sustainable development and advocating the environmental chemistry. 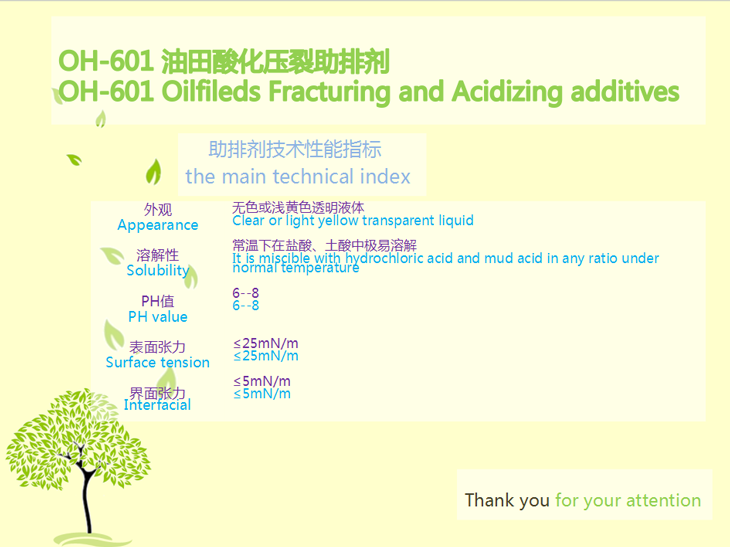 We mainly supply fluorocarbon surfactant, oil field acidizing and fracturing additives. 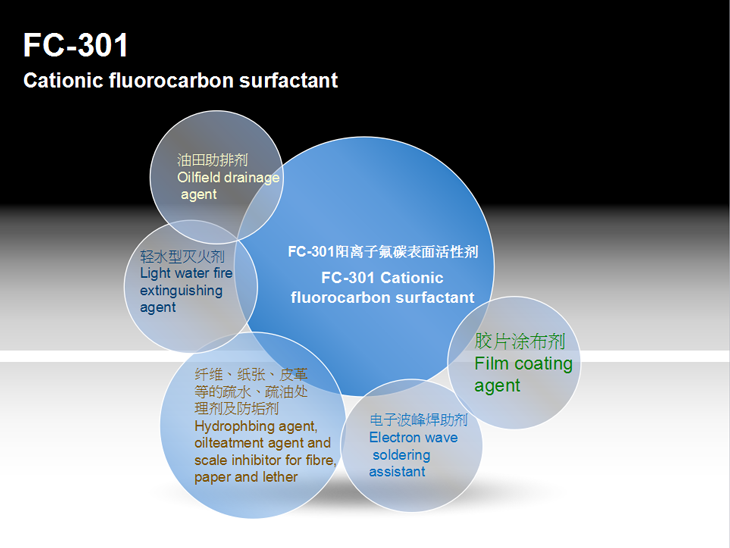 Fluorocarbon surfactant has very good surfactivity, low surface tension and critical micelle concentration (CMC), resistance of high temperature and oxidation. It is widely used in fire fighting agents, oil fields, chemical additives, coatings, paint additive, release agents, and other fields etc. To meet the different needs in the market, customized special products are workable for us too. Application：It is with lower surface tension and a kind of nonionic surfactant perfluorinated alky. 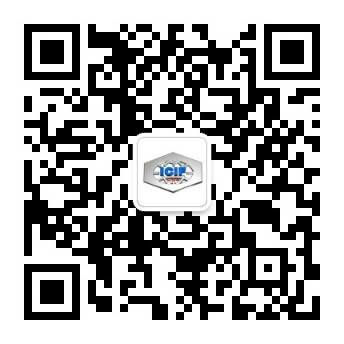 Lt has great activity in acid, alkali and neutral medium, also widely used as fire extinguishing agent, ink additives, paint flatting agent, wetting agent, spreading agent, levelling dye, metal cleaner etc. Package and Storage：25kg~200KG per plastic barrel, storage and transportation is according to general chemicals requirements. 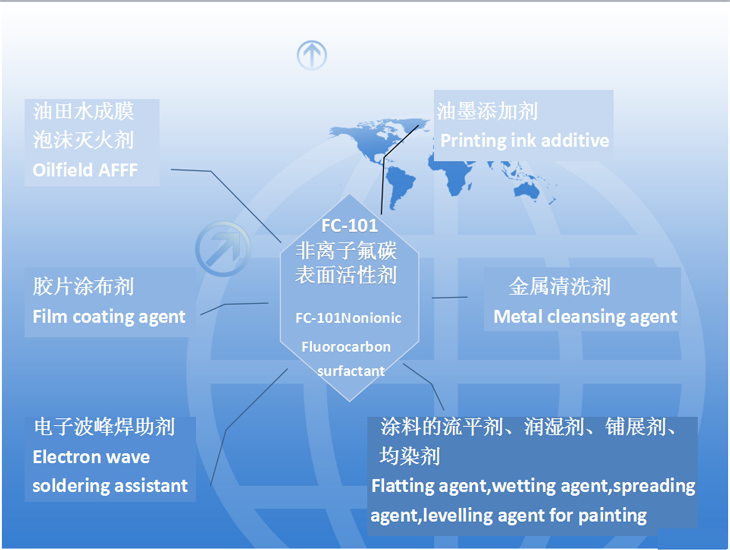 Application：It is perfluoro amphoteric surfactants, with lower surface tension, can be used as raw materials for light water foam fire extinguishing agent. It is made of fire extinguishing agent and can form a layer of inhibiting evaporation in the fuel surface, aqueous film excellent mobility.The rich foam can not only put put out the fire quickly, but also can prevent the after firing. It can be widely used in oil fields, oil refineries, oil depots, underground garage, airport and other important occasions. Package and Storage：25kg~200KG per plastic barrel. To prevent exposure, it should be stored in a cool and dry warehouse. 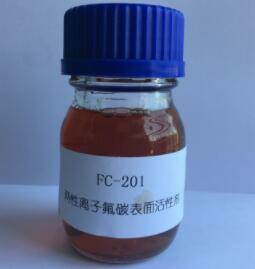 Application：It is a perfluorinated cationic surfactant, with its low surface tension, it has good activity in acid, alkaline and neutral medium. 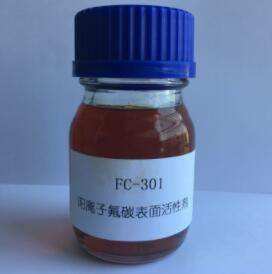 It mainly used for oil additive, light water fire extinguishing agent, film coating agent, electronic soldering additives. 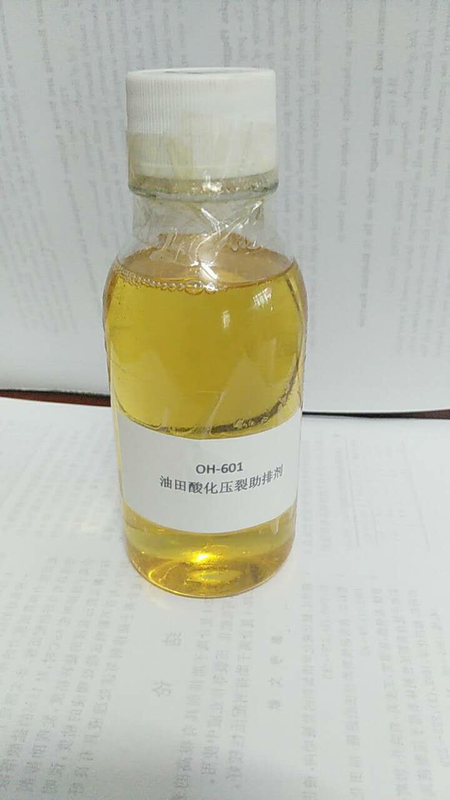 And also can be used as oleophobic treatment agent and anti-fouling compound for fiber, paper and leather etc. Package and Storage：25kg~200KG per plastic barrel. Storage and transportation is according to general chemicals requirements. During fracturing and acidizing operations, the working fluid must be thoroughly discharged from the ground quickly to avoid secondary pollution, and achieve the purpose of production and injection. But the surface tension of residual liquid is too high and can not be discharged completely, adding additive can reduce the surface tension and increase the interfacial activity which is conducive to working fluid discharged quickly and thoroughly. In addition, adding additive in working liquid, it can effectively reduce the interfacial tension. Addtitive is specially developed for oilfields acidizing and fracturing. It contains perfluorinated surfactants that can reduce the surface tension capacity, acid resistance, salt resistance. Even in strong acids and high salt conditions, the additive can effectively reduce interfacial and jaminaction. It has many advantages, such as low dosage, cost-effective, good compatibility, user-friendly, high temperature resistance and so on. 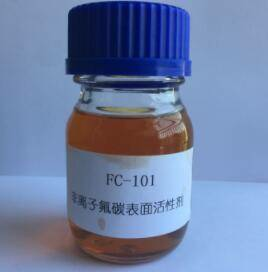 In the preparation of fracturing fluid or acid, the additive is directly matched with the fracturing fluid or acid according to the design requirements, and the concentration is 1%. Package：In plastic barrel or iron barrel, the net weight is about 200kg per barrel. Shipping and Storage: It needs to prevent collisions during transportation and should be stored in a cool ventilated place .